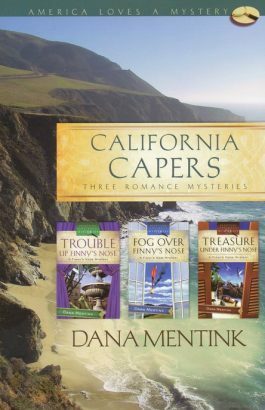 Take a fictional vacation through three novels to Finny, California, where at first glance it looks like any other coastal tourist village. But for resident Ruth Budge, the kaleidoscope of zany Finny citizens keeps her always on the lookout for trouble. Trouble finds her first, though, as she discovers a body in Finny’s town-square fountain, uncovers secrets buried under the Finny fog, and stumbles unto another mystery under Finny’s Nose. As Ruth battles to overcome evil with truth-and a healthy dose of common sense-she also learns to heal from her husband’s death and to find hope for new love.